FD30 Fire Door Lining Hardwood. Designed, tested and certified this Hardwood FD30 rated door lining set is perfect for any FD 30 fire door. The frame is rebated to accept fire doors of up to 45mm thickness and contains pre-cut grooves to install intumescent strips depending on the specification for your fire doors installation. 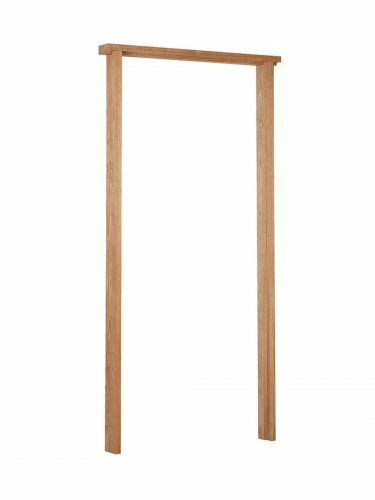 Available in two widths 108mm and 133mm, with an adjustable top bar to accommodate doors from 27 inches (686 mm) to 33 inches (838mm). The maximum door height this frame can accommodate is 2015 mm. The frame is 43mm deep. You can trim the frame to the required height. The set comes as a pack of three and the top bar is wide enough to cater for doors up to 33″ wide. This lining set does not include the intumescent strips. These are available separately and you will usually require 5 metres per door lining. This depends on the height and width of the door. Please do give us a call if you are unsure. The pre-cut groves measure 20mm wide by 4mm deep so please check the measurements of the intumescent strip you are using to ensure a good fit.